GossipWeLove | Pop Culture and Entertainment News Site: Bill Cosby Hopes to Re-brand After Widely-Publicized Trial... Details Inside! According to theRoot, despite the fact that over 40 women have accused the comedian of drugging and sexual assault, and with a criminal trial looming over his head, the Cosby PR team is trying to put the comedian in a better light. On Wednesday, Cosby’s daughter, Evin, spoke out on her father’s behalf, and said there’s no way he could do what he’s accused of because he “respects women”. Which most people rolled an eye at. Now, Cosby is speaking out about his plans after the trial (assuming he doesn’t end up spending his last days of life in jail). “I think about walking out on stage somewhere in the United States of America and sitting down in a chair and giving the performance that will be the beginning of the next chapter of my career,” Cosby said. “I miss it all and I hope that day will come. 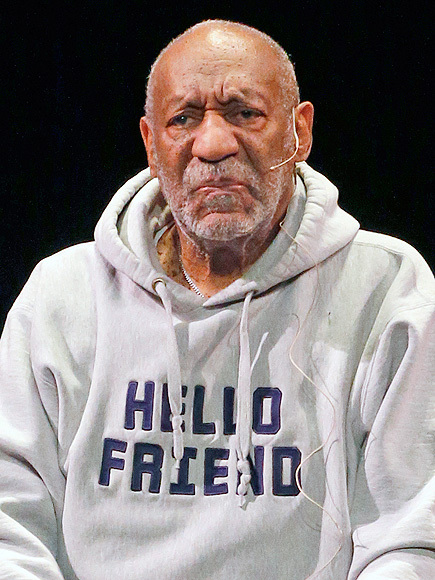 I have some routines and storytelling that I am working on,” Cosby said. In the sexual assault trial slated to start in June, the 79-year-old's lawyers are using his blindness to their advantage and stated that he won’t be able to identify any of the women that will be testifying against him because "he's completely blind."